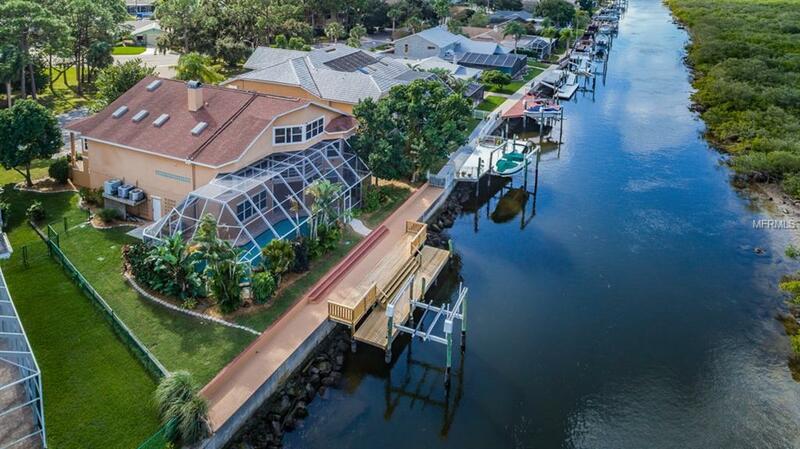 Live the Florida dream in this outstanding waterfront pool home with direct gulf access. Room for everything and everyone with 6 bedrooms plus loft area and lots of storage space including 3 car garage. House is elevated which means low flood insurance rates. Enter through the double doors and up to the main level which features living/dining rooms with wood burning fireplace & wet bar; gourmet kitchen with quality wood cabinets, island & granite counter tops; master bedroom with walk-in closet w/built in shelving & adjacent bathroom w/spa tub, separate shower and 3 sinks; 3 more bedrooms, 2 more bathrooms plus laundry room & vinyl enclosed porch. A spiral staircase leads to the upper loft area. The lower level includes 2 additional bedrooms & bath; bonus and storage rooms. Exit out to caged patio/pool area w/htd. 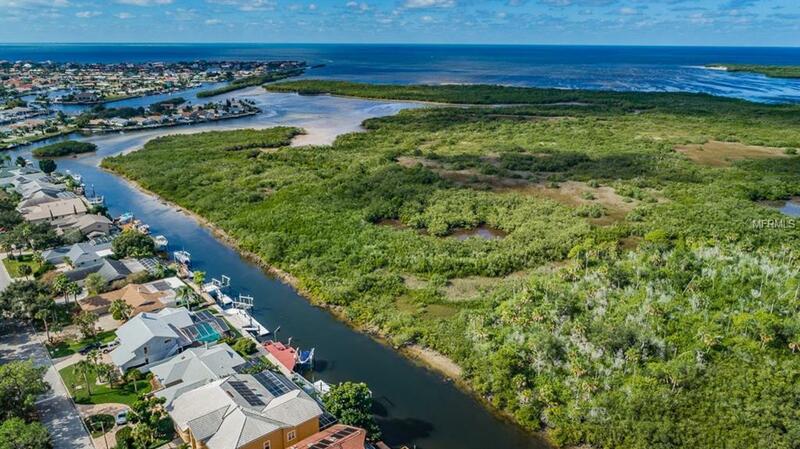 pool, spa & barbecue overlooking canal and conservation/bird sanctuary. Recently renovated dock and 8,000 lb. boat lift. Roof replaced in 2010 with transferable warranty (50 year material/25 year labor). Transferable Choice home warranty. 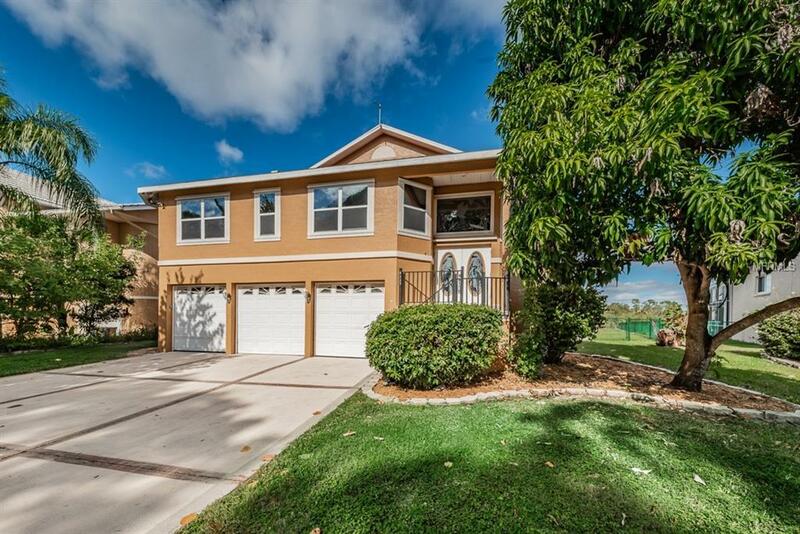 Addl features: Zoned a/c (3 units), copper wiring, tempered glass skylights, hurricane shutters, security system, fenced yard, sprinkler system and more! 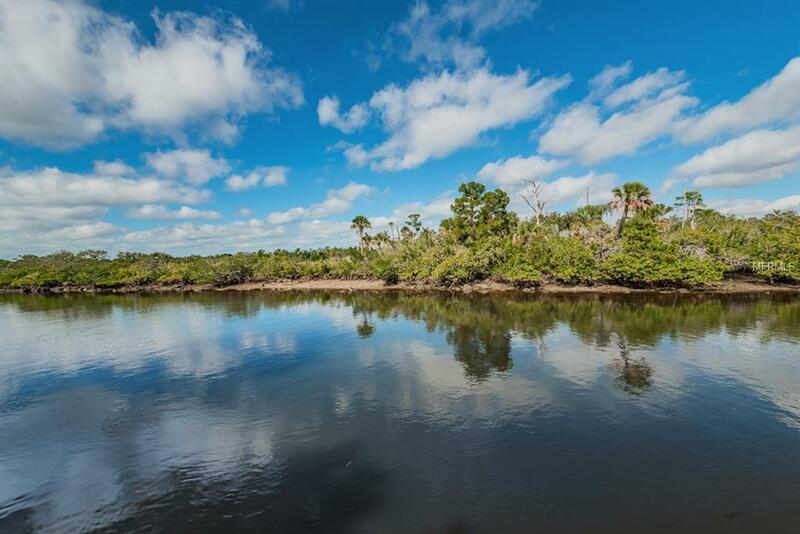 Gulf Harbors Woodlands is a beautiful, deed restricted community w/clubhouse, community htd. pool, tennis courts and private boat ramp. Low HOA of $150 quarterly. You also have the option to enjoy the Private Beach right on the Gulf of Mexico for $144.00 yearly or join the Yacht Club.